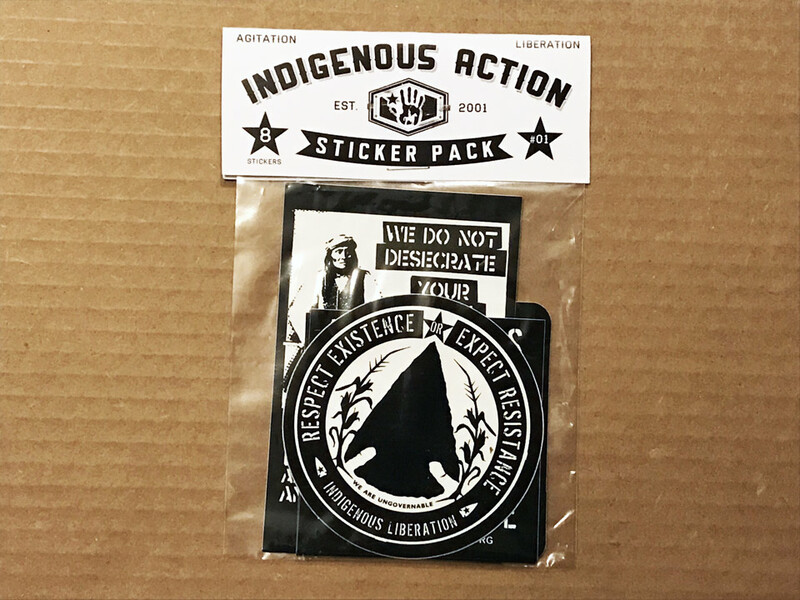 This pack contains 8 high-quality screen-printed vinyl stickers. 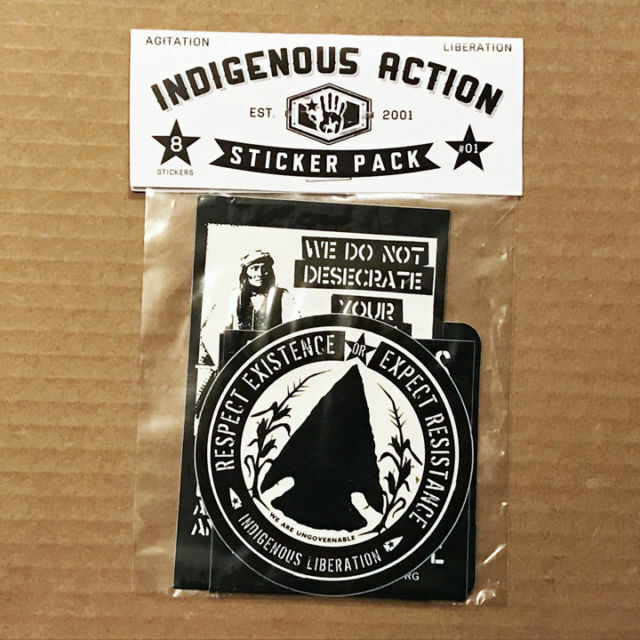 Shipping is $.50 per pack. 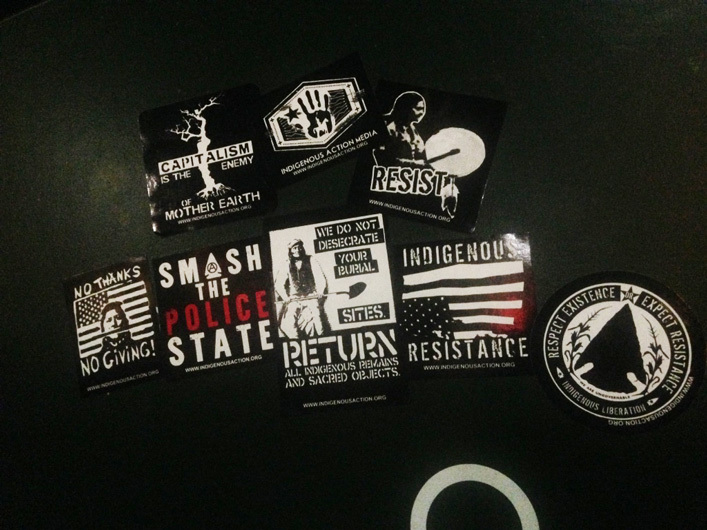 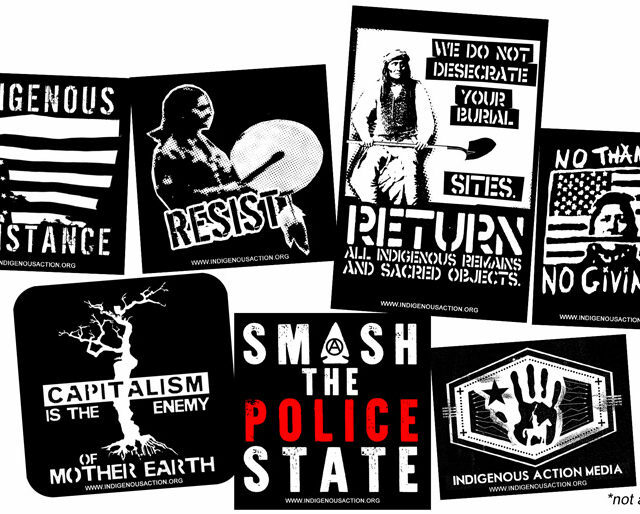 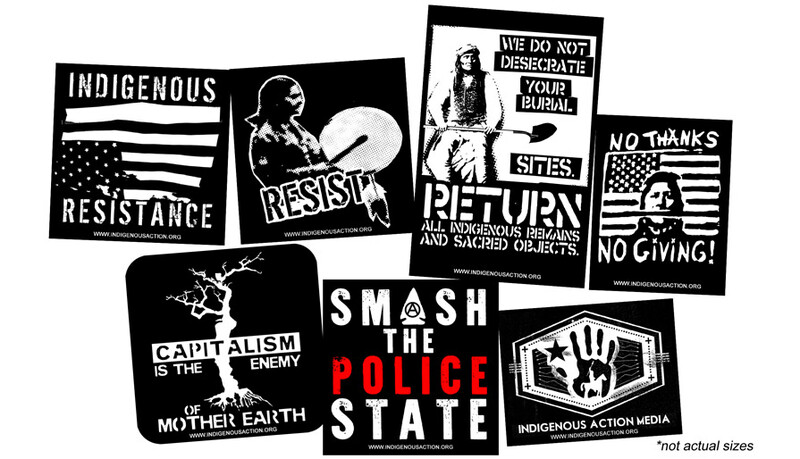 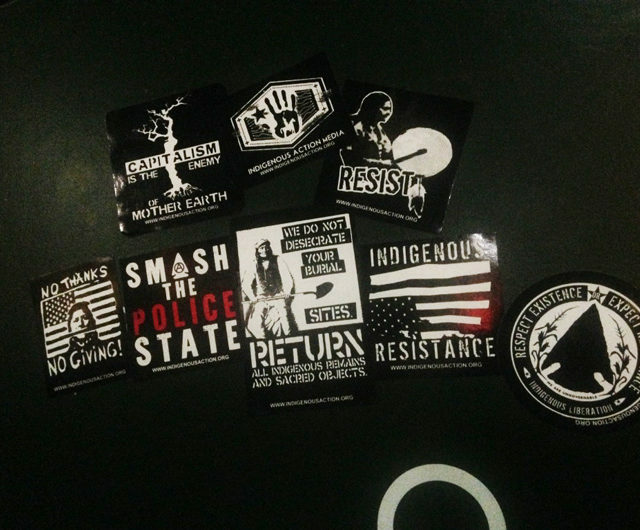 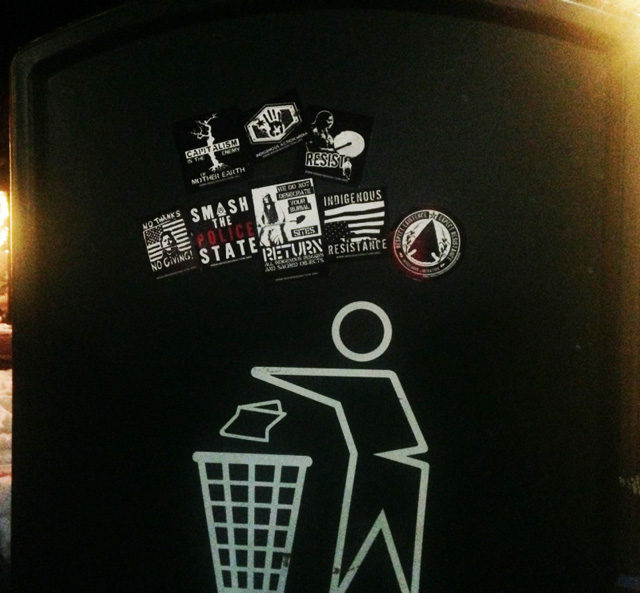 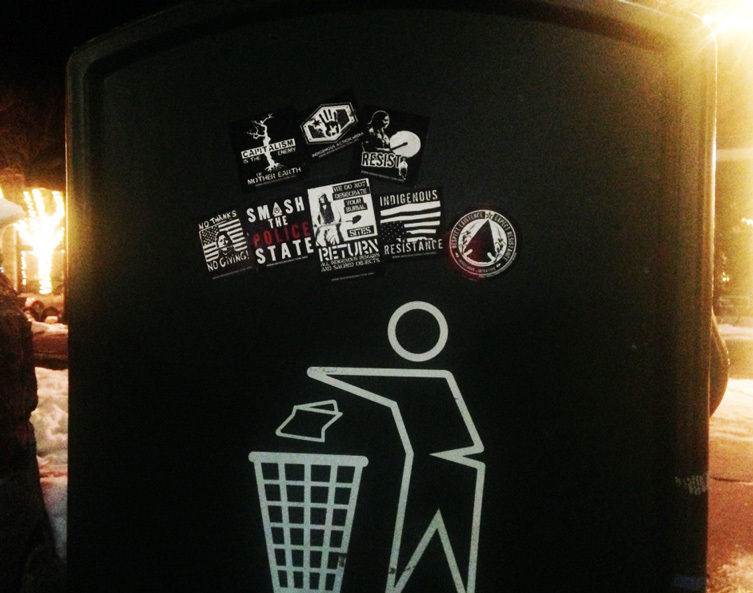 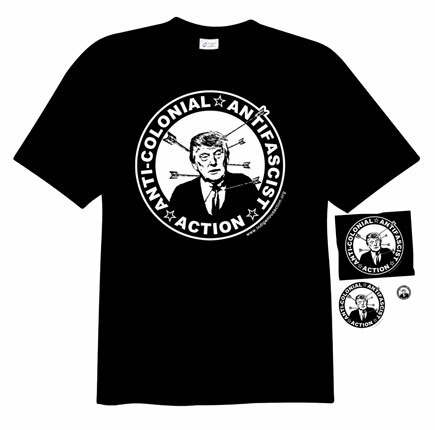 Original Designs by Klee Benally: No Thanks No Giving, Protection & Repatriation, Indigenous Resistance, Respect Existence, Capitalism is the Enemy, Resist, Smash the Police State, Hand & Star IAM logo.